1 Rinse apple, wipe dry, cut into quarters and chop coarsely, including the seeds. 2 Rinse the currants and drain in a sieve. Reserve 1 stem with fruit for garnish and strip the rest of the currants from the stems. 3 Squeeze out grapefruit juice. 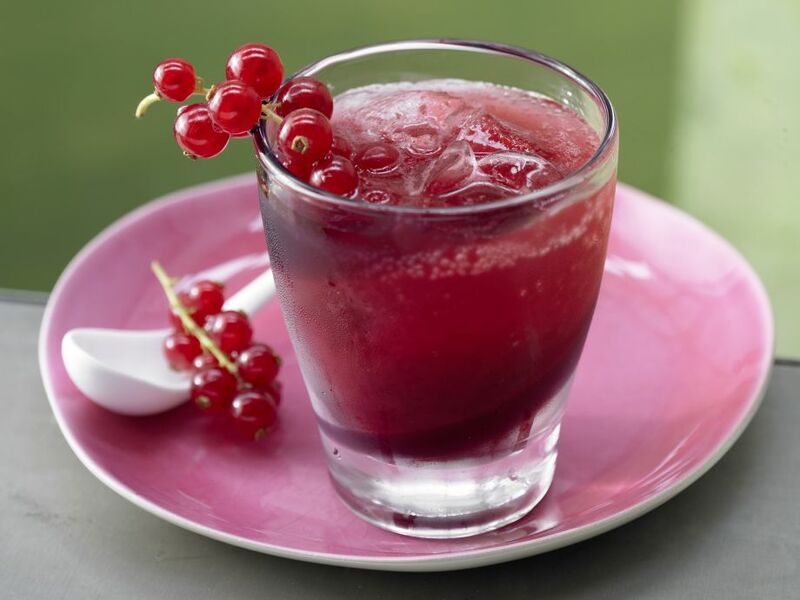 4 Combine apple cubes and stripped currants in a juicer and extract the juice. 5 Pour into a tall serving glass filled with ice cubes and stir in the grapefruit juice. Top with mineral water, garnish with reserved currants and serve immediately.